Rumble / Entertainment Life - Sofia Richie is reportedly NOT A FAN of Kourtney Kardashian&apos;s recent Scott filled posts... PLUS...the Kar-Jenner clan is apparently VERY UNHAPPY when it comes to Khloe Kardashian and her baby #2 plans with Tristan Thompson... And FINALLY...Rob Kardashian might have claimed he&apos;s broke amidst his custody battle with Blac Chyna...but it&apos;s been revealed the guy spends A LOT on clothes. 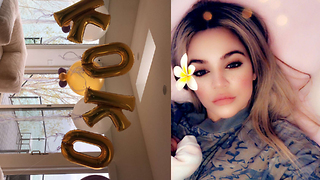 Khloe Kardashian REACTS To Tristan Thompson Being CAUGHT With 3 Women! 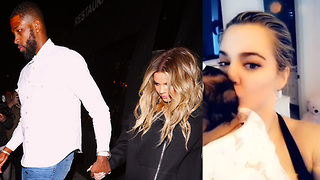 Tristan Thompson FINALLY Speaks Out About Baby Daughter After Couples Therapy With Khloe! Khloe Kardashian Wants Another Baby With Tristan To Help SAVE Relationship! Khloe Kardashian Planning To ESCAPE As Tristan Is Busy With NBA Playoffs!